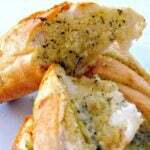 Quick and Easy Garlic Bread really is an incredible no fuss no mess recipe, BUT with fantastic results! I often make this and serve with BBQ’s, party food, along side pasta or a nice soup. Really, the possibilities are endless. 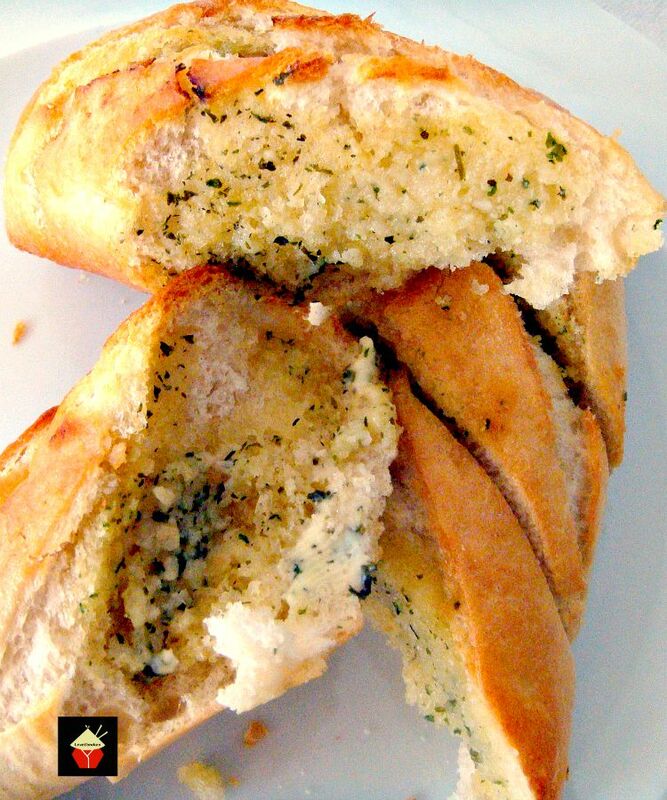 I have always made my own garlic bread. It’s so easy! Plus, don’t you often find if you buy it ready prepared, sometimes, the shops can be quite mean with the butter inside and there isn’t much taste? or it’s very salty? Well, give this recipe a go, there’s nothing to it, and just so delicious! Something else which I find handy with this recipe is that I can prepare the baguettes first to make them ready for the oven, then I simply wrap them in foil and freeze. I buy the semi baked baguettes from the shop and they come in packs of two, so it suits me to make one for serving now and then freezing the other for a later date. Oh, and feel free to increase the garlic amounts if you are crazy about garlic, or indeed swap the parsley for another herb, such as thyme or rosemary.. or indeed add a sprinkle of your favourite spice, such as paprika. 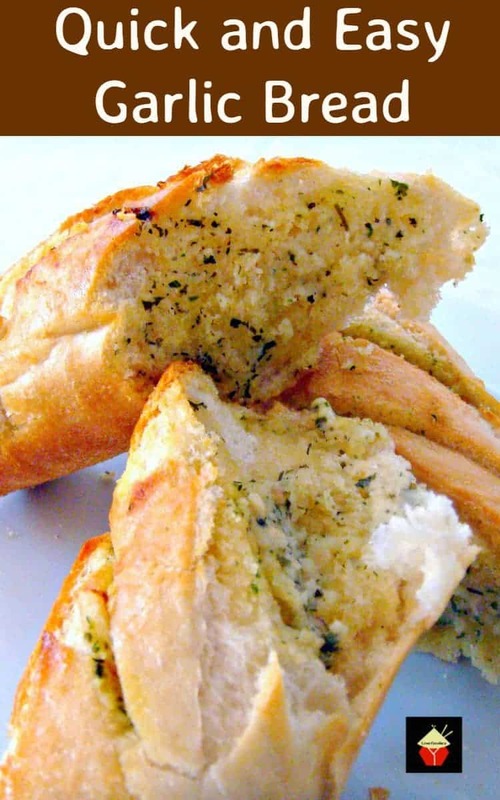 You make this recipe your very own and how you and your diners will enjoy! * For the baguettes, I buy the semi baked ones. They usually come in vacuum sealed packages. You can also use fresh baked baguettes. Note the cook variation in the instructions for both ways. 1. This is incredibly easy! preheated oven at 425 F or 220 C.
First, in a bowl, add all the ingredients apart from the bread and mix with a fork or flat knife until combined. 2. 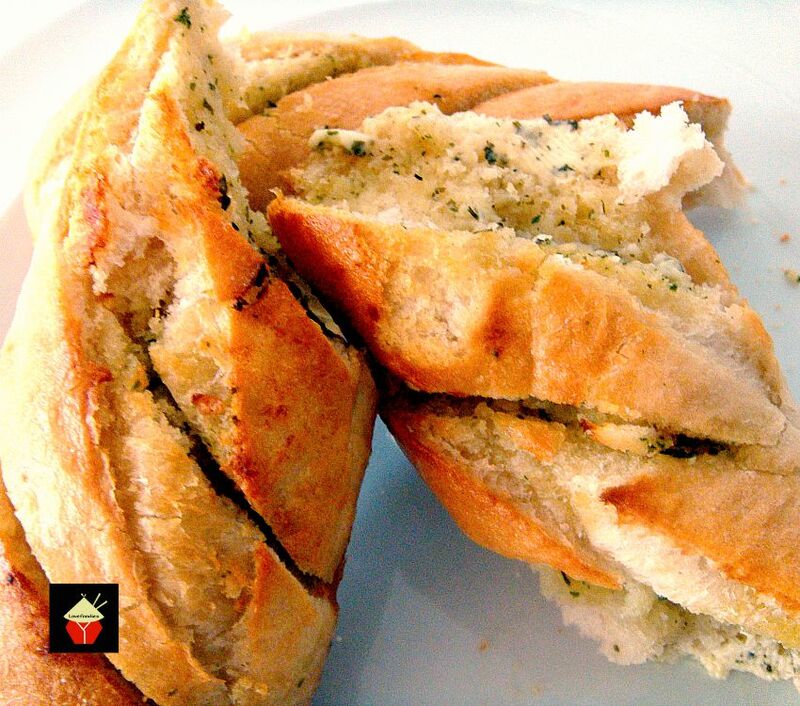 Use a bread knife and make cuts in the bread at an angle. Cut about 2 inches apart, and take care to only cut through the bread about 2/3rd’s down. In other words, don’t completely slice through the bread as you want the slices to hold together. 3. Take a spreading knife and spread the butter mix in between the slices, on both sides of each surface. 4. Place the bread on a baking tray and place in the preheated oven for approximately 10 – 15 minutes or until golden brown. Sometimes, I make the butter mix ahead and keep in the fridge. I’ve also prepared the baguettes and wrapped in foil and put in the freezer. Then when I want to serve, simply pop them, from frozen, into the oven and let them cook as above. This way is great of you’re having a party and need several loaves as it allows you to make ahead of time. This is incredibly easy! preheated oven at 425 F or 220 C.
First, in a bowl, add all the ingredients apart from the bread and mix with a fork until combined. 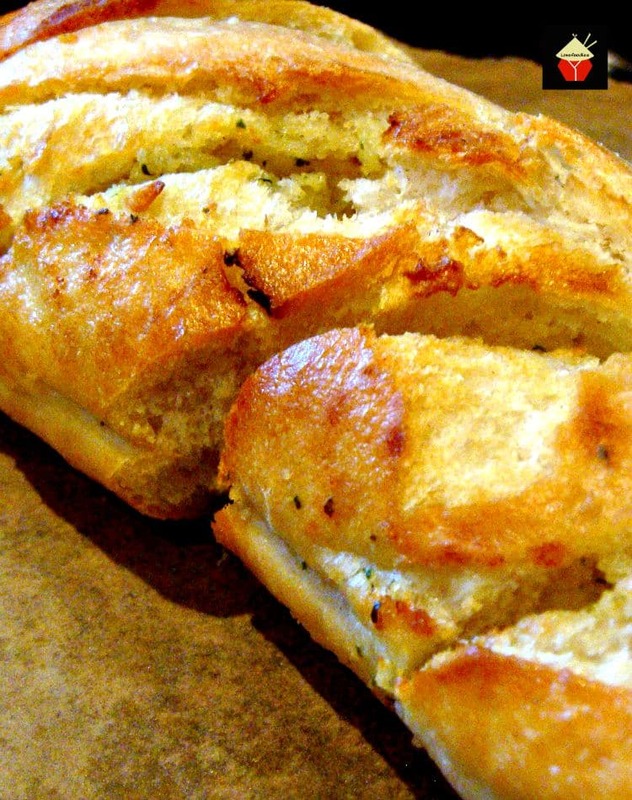 Use a bread knife and make cuts in the bread at an angle. Cut about 2 inches apart, and take care to only cut through the bread about 2/3rd's down. In other words, don't completely slice through the bread as you want the slices to hold together. Take a spreading knife and spread the butter mix in between the slices, on both sides of each surface. Place the bread on a baking tray and place in the preheated oven for approximately 10 - 15 minutes or until golden brown. For the baguettes, I buy the semi baked ones. They usually come in vacuum sealed packages. You can also use fresh baked baguettes. Note the cook times in the instructions for both ways. Delicious, and I love the technique of flavoring the butter.